Brett Manney is an assistant captain and standout defenseman for the New England Black Wolves. He also won a bronze medal with USA's National Indoor Team, where he was also an assistant captain. He played on Delaware's 2007 Final Four team, captained the 2008 team, made the North-South All-Star Game and is the driving force behind Showcase Lacrosse's nationally-known events. Manney sees players from all over the country at NXT's events, including those in Georgia, Maryland, Michigan, and Pennsylvania. He also coaches the NXT 2019 team, which allows him to see many of the country's elite players across the country. 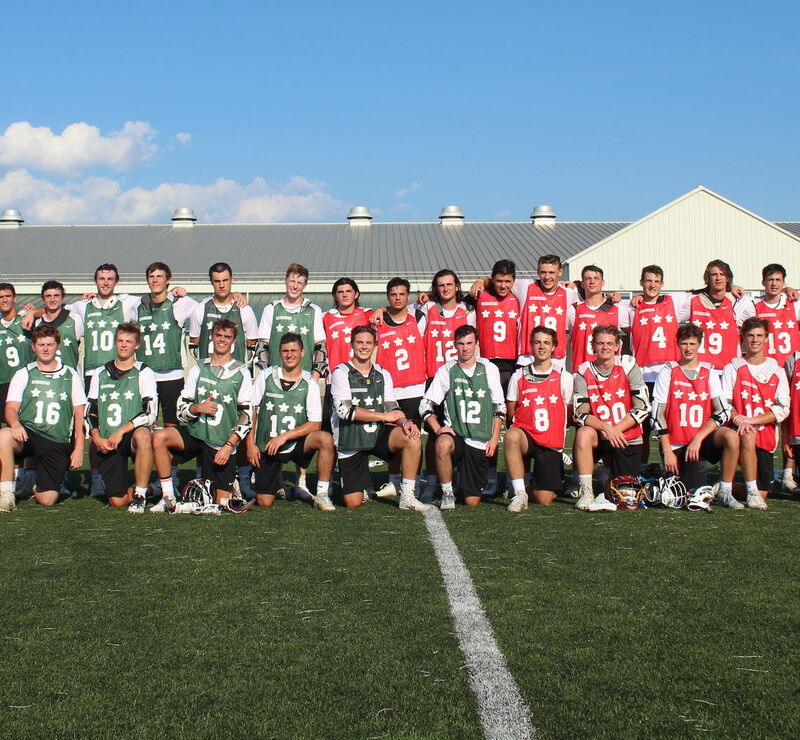 Here are the players who stood out the most to him at the Philly Summer Showcase. Even though Lance was a late addition it did not take him long to quickly make an impact. He was able to get separation from his defenders, get to the cage, and feed his teammates with precision. Lance jumped out of the gate early demonstrating his playmaking ability but also his will to play hard while some of his peers were still getting accustomed to playing the first game of the day. With that being said, his effort and talent were on display all day making him stand apart from his peers. Clay took the ball hard to the rack! He is a north/south dodger who put defenders on their heels and used his height to his advantage. I loved his overhand shot and how he got his whole body into it. His most impressive attribute was his short stick defense and mean cross check which made him very difficult to dodge against. Clay brought his entire arsenal of tools to the Showcase and certainly created some buzz with the coaches in attendance. If someone was dodging against Schrank they quickly got rid of the ball because of how much he was in their gloves. What I loved about Schrank was that he covered players all over the field and was in their gloves constantly applying pressure to make opposing offensive players uncomfortable. He was very fundamental and threw hard checks, not surprised to know that coming from a storied program such as Ward Melville. If he improves his stick work and communication, the sky is the limit for this young defender. I have seen Charlie for the past few years and his improvement has been tremendous. Charlie was fantastic down low and had quick hands to make saves up high when players had step down shots. He saw the ball very well and tracked it from behind the cage to above goal line with ease. He had a beautiful outlet pass during the All-Star game, which turned some heads to those coaches watching. He would be a great steal for any program this late in the recruiting process.